When I got the call at 5am that my granddaughter and her mom were at the hospital my mind was spinning with panic. When I learned the sudden and unexpected diagnosis was leukemia a silent primal scream of agony tried to escape from my soul. For the next week it was followed with denial, anger, fear and an emotional pain that threatened to sweep my life away. I know other families have gone through this horrifying journey but this was “my” grandchild. All I could think of was her charm, beauty and honor roll mentality and the fact her 13th birthday was just last week. High school was just ahead with exciting opportunities for friendships, proms, dates and preparation for college. Was all that gone in one sweeping diagnosis early one morning? I’ve learned a lot since those first few months. She is 16 years old now and will be finished with the treatment protocol the first of the year. It was an agonizing three years of pain and sickness complicated by the fact she was allergic to almost all of it and now is left with bone joints that are crumbling from a reaction to steroids. If not for St. Jude’s Children’s Research Hospital in Memphis all hope would have been lost. 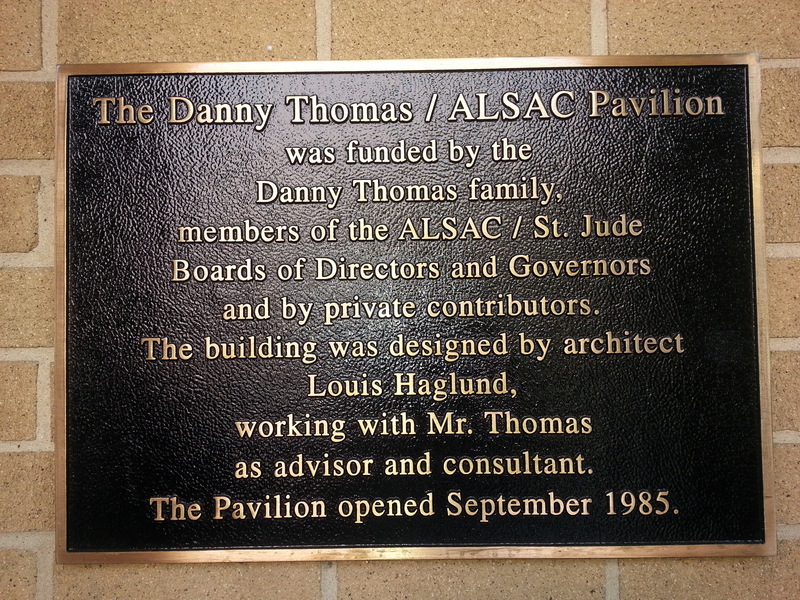 I knew Danny Thomas started the hospital and research center but was curious about the Saint he named it after so I did some research. It is named after Saint Jude known as the patron of lost causes and desperate cases, and the patron saint of hospitals. Jude was one of Jesus’ twelve original apostles. His lineage is documented as a direct relative of Jesus, a cousin. There are certainly many sources of shared personal history, for instance any reference in the New Testament to “the apostles” would presumably include him. Thus we can conclude he was in the boat, on the hillside, in Jerusalem, at the Last Supper, etc. He also preached and taught in Turkey, Syria, Libya, Samaria, Judea and Palestine. Saint Jude is also the patron saint of hope. Maybe this is the most important thing he represents as many times it is the only thread left to grab onto. There is something endearing about its endurance when times are bleak. In Emily Dickinson’s “Hope is the Thing with Feathers,” the poet writes about hope as a bird that continues to sing despite not knowing the words, despite being stuck in a storm, despite the worst of conditions. Hope is the belief that circumstances in the future will be better. It’s not a wish that things will get better, but an actual belief, even when there may be no evidence that anything will change. We held onto that thread with our belief of hope so tight that most times we were exhausted but we never gave up. And now she is in remission. Her joint surgeries almost half done and she has just re-entered high school after two years of treatment. Her charm, beauty and intelligence still in place only now honed with a strength and maturity only a life tragedy can teach you. Hope is not denial, it is faith in the darkest times. 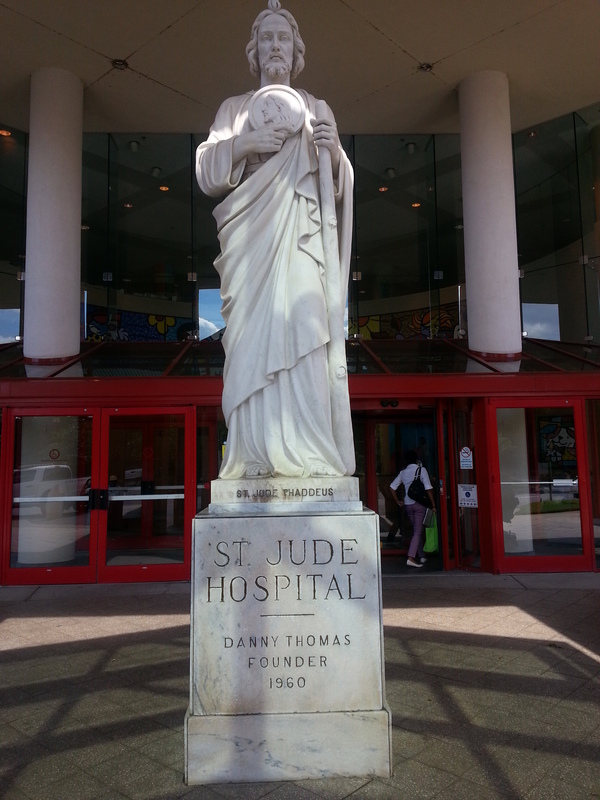 Danny Thomas selected the perfect Saint to represent what his heart was trying to give to children and families in dire circumstances with a crisis too devastating to comprehend. This entry was posted in aging community, Disability, elderly, family, feminist, Society, women and tagged aging, community, Disability, inspiration, life skills, medical, surviving life, women issues.